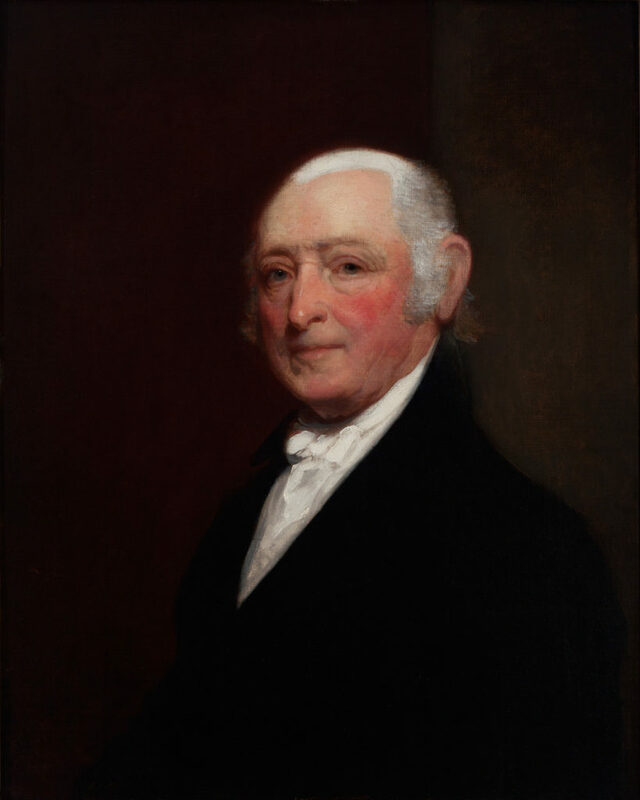 Gilbert Stuart was the foremost portraitist of the Federal period. His depiction of Nathaniel Coffin portrays precise facial modeling, warm skin tones, and realistic textures and details against a muted background, which testify to Stuart’s extensive artistic training. Stuart is best known for stately portraits of Revolutionary leaders, including the portrait of George Washington which appears in reverse on the dollar bill. Dr. Coffin was a prominent surgeon in Portland, Maine. He received his medical training at Guy’s and St. Thomas hospitals in London, England. Upon his return he met and married Eleanor Foster of Charlestown, Massachusetts, also painted by Stuart. The portraits (both in the collection of Danforth Art) were commissioned by the Coffins’ daughter, Eleanor.